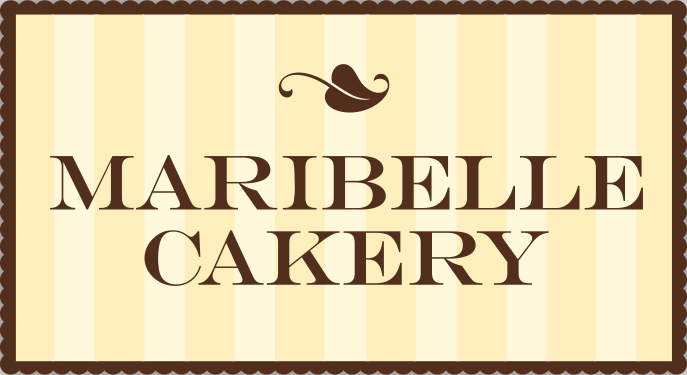 Maribelle Cakery will change your mind about cake forever. Brides have said that to sample a Maribelle cake is to experience the difference between mere bakery cakes and the exquisite, perfect taste of a cake made entirely from the finest natural ingredients — fragrant vanilla beans, genuine liqueurs, orange rind or real lemon juice, and the world’s finest chocolate — Callebaut, from Belgium. We’ve spent countless hours tasting, testing, and tinkering with our recipes to create cakes that are moist, delicious, and unique. We also offer Dairy Free, Vegan and Gluten free by special request; call us for pricing and flavors. We will create our classic, signature cake for you by folding rich, Vermont butter into Coco butter for frosting. This covers a light, white cake complimented by the addition of Callebaut’s white chocolate. Individual layers are separated with our rich and creamy homemade mocha fudge & Oregon red raspberry preserves. Less is better with this yellow butter cake. This super light and luscious cake melts in your mouth with a hint of orange zest and fresh strawberry cream cheese filling. This is one of our most popular selections for a brunch or outdoor wedding. Simplicity and elegance…a tasteful choice. A light and luscious almond butter cake with a hint of lemon and the added punch of pistachio buttercream and raspberry filling. The contrast in colors is stunningly beautiful, and the flavor will make a lasting impression. This is sure to be a big hit at your reception or rehearsal dinner! This dark chocolate cake is filled with Bailey’s cream, raspberry or Madagascar vanilla bean opera cream, and frosted with chocolate truffle. We don’t stop there! We garnish the top with strawberries double-dipped in white and dark chocolate. The top is finished with our famous dark chocolate curls. A real showstopper! We begin with our delicate buttery genoise soaked in a hazelnut-coffee liqueur. We then paint it with a rich chocolate ganache, topped off with a white chocolate Gran Marnier-style mousse. Top it with a tiara and call it Tiramisu! We start with a lemon cake made from real lemon zest and filled with a coconut cream and lemon tart filling of our own invention. This is the lemon cake you’ve always dreamed of but never knew existed! Seriously! Decadent pumpkin cake made from fresh pumpkin and cut into four layers. Each layer is soaked in our own caramel sauce and then filled with our special pumpkin cream filling. This is the best banana cake you will ever have with bananas, pineapples, and pecans. This four layer cake is filled with the most wonderful cream cheese icing. This is very popular for our fall weddings. A Luxurious taste of white chocolate cake with three layers of rich flavorful filling; raspberry buttercream and our amazing pistachio buttercream. The cake is topped with Maribelle’s signature white buttercream icing… amazingly good. This was made especially for our owner’s family events. This is a lovely white cake with three layers of blueberry buttercream. Rich and creamy topped with buttercream icing and fresh blueberries. This moist citrus cake is filled with our coconut mango filling. Full of flavor… makes you feel as if you are in the tropics. White chocolate cake filled with our Madagascar vanilla bean opera cream filling. Fluffy and so delicious, one of our very popular options. White moist cake with cookie chucks melted into the cake as it bakes. Then filled with a rich and creamy cookies & cream filling. Topped with our signature buttercream. We offer other flavors. Please inquire.